Are allergies making your teeth hurt? 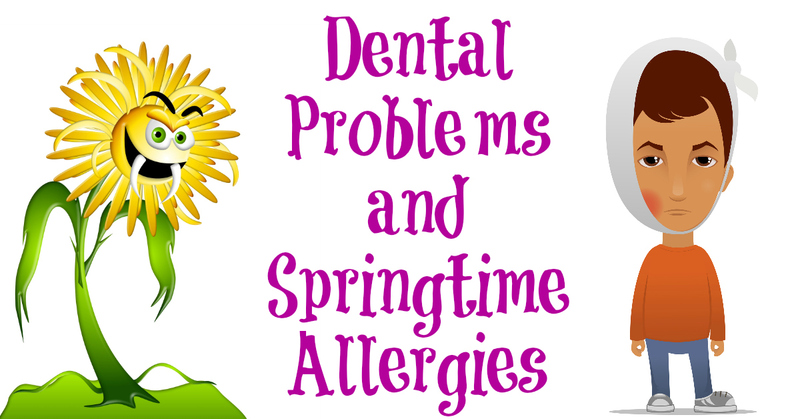 If you suffer from spring allergies, you’ve probably felt sinus tooth pain and pressure. Sometimes sinus pressure can make your teeth hurt. The maxillary sinuses are located just above the roots of your upper molars. That pesky spring pollen can wreak havoc on maxillary sinuses, causing them to become infected or inflamed. Identifying Sinus Related Tooth Pain? How do you determine if your pain is related to sinuses or a separate dental issue? Here are four tips to help you. 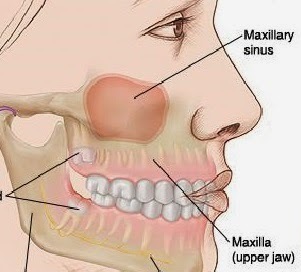 The location of the Maxillary sinuses above teeth. Look for other sinus symptoms. Many sinus sufferers complain of additional symptoms like sneezing, stuffy or runny nose, headaches, itchy/watery eyes, nasal drainage, congestion, coughing pressure in the head. Identify the location of the pain. Sinus tooth pain usually only impacts the upper molars since the maxillary sinuses are located just above them. Pain centered around one tooth only often points to a dental issue needing in-office treatment. Patients often describe tooth pain caused by a sinus infection as a dull pain as opposed to sharp pain. Typically sinus tooth pain is not severe enough to interrupt nighttime sleep. Pain severe enough to keep you awake at night calls for a visit to our Monroe Family dental practice. Treatment options vary, some options include a round of take-home antibiotics for infection, tooth fillings, or in severe cases tooth extractions if the cause is not related to sinuses. Sometimes that pressure or sinus pain can make your teeth hurt. The maxillary sinuses are located just above the roots of your upper molars.